Welcome to Brix Design and Build. Our management team Bill Derham, Bob Hudson, Kevin Leader and Grant Aitkin have built up a friendly honest and successful building Company. Running alongside our Plumbing and Heating Company. 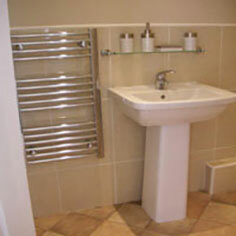 Brix Plumbing Heating and Ventilation Ltd.
With over 40 years experience, Brix has established itself as a very reliable, good quality and honest building company. Our experience of project management, interior design and building is second to none, working with a team of approved associates. Our attention to detail, professionalism and proven track – record in development of both residential and commercial properties should make us your first choice for quality, reliability and competitive pricing. We are a friendly team that works closely with a number of architects and designers who can offer a wide selection of services including Architecture, Planning, Interior Design and Landscaping. In every respect we aim to be reliable, professional, courteous, ethical and cost- effective, employing a qualified and correctly trained team. We believe in continuing to find new ways in which to look after our clients, communities and environment. We're specialists in everything building-related and offer a full project management service if you’re thinking of extending, new-build, small or large scale maintenance. Extensions and refurbishments are very popular and are a great way of getting more space without having the expense and stress of moving. So whether you’re a homeowner, landlord or commercial property owner, or if you need an annual maintenance package, service test or certification, we can help. I am writing to say how happy we are with our new home The house has been beautifully finished to a very high standard and we really have not been able to fault it. The workmanship is excellent and all the appliances, plumbing etc are in perfect working order. You and your colleagues have been unfailingly accommodating in our requests: nothing has been too much trouble when we have needed help. Moving house is never easy, particularly when moving to a new area with three children, but you have made it go smoothly and we are managing to settle in extremely quickly. 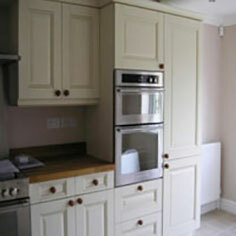 My kitchen is just fantastic and your fitting team are just the best. Being old is not easy especially when moving to a house in need of total refurbishment. Thank you so much for all your guidance and I could not ask for a better team. The bathroom, the kitchen, the decoration and wow the conservatory it’s my perfect home. It has been such a benefit having you project manage this complicated project Thank you. We have known members of BRIX's plumbing/heating team from their previous company, for well over 20 years. My mother used them 40 years ago and referred to them as the Rolls Royce of heating/plumbing engineers. Now the team is with BRIX they retain all the highly efficient customer service with their Office Manager Ann being first 'port of call' on the phone. With Ann, one is in safe hands, she will ensure one receives prompt and excellent attention and service. We have every confidence that this exceptional standard applies to the construction/build, side of the company and hope we may be working with this company that combines the personal touch with the highest levels of professionalism. Absolutely. You guys were absolutely brilliant. Grant and Dan were great and provided a truly wonderful service - polite, honest and just good plumbers. I have since used other plumbers on a local project and they were not a patch on you guys! We are abroad just now but I can put something together when I get back with photos? 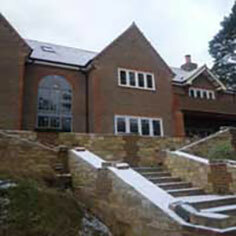 I have rented out the house for photo shoots so hopefully can find some nice photos I used for the location agencies. Call us on 01483 894870 to find out more.